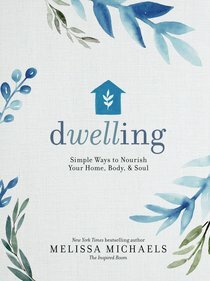 Our dwellings-both our home and body-are intricately connected. Each has the potential to inspire the other to be its very best! Your body, including your mind and soul, needs daily nourishment to help you feel healthy and happy. You'll discover simple ways to make self-care a priority in your home. Melissa Michaels wants to show you how meaningful it can be to live a life that nurtures both your home and body. By making a series of small, intentional choices-from what you bring into your home to how you shape your daily habits and mind-sets-you can create a more rejuvenating environment that equips you to go into the world and accomplish all you set out to do. When you discover the connection between your home and body and the action steps you can take to improve both, you'll be on your way to a more balanced and happy life! Melissa Michaels is the creator of the popular blog The Inspired Room and the Better Homes and Gardens Readers' Choice Decorating Blog winner in 2014. With creative, simple ideas and a friendly style, she inspires nearly half a million women each month to love their homes and lives. Melissa is a regular contributor at (in) courage.me and is frequently featured in top publications and web communities. She and her husband live in Washington where they planted a church in 2009.